Thanks for visiting my stop on the Craftsy Sweetens Up My Quilting Life Blog Hop! and my WHOOMP There IT Is! #18 Linky Party. For those of you who haven’t already heard of Craftsy, I’m about to take you to school! It’s an online platform that delivers crafts education classes via full-length, professionally-produced, interactive, high-definition videos. The beauty of Craftsy classes is that they never expire! AND, you can watch them anytime, as many times as you like, provided you have a proper internet connection. Oh, and remember, it’s interactive! This means you can ask questions and/or post pics to get help from the instructor or other peeps taking the class. Craftsy offers a wide array of classes, from photography to knitting to cooking…however my class of choice is Quilting! 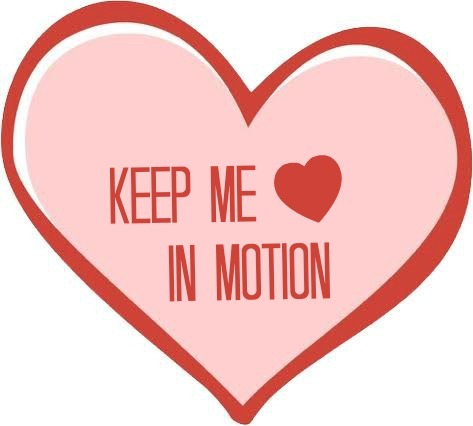 And more specifically, Free Motion Quilting. 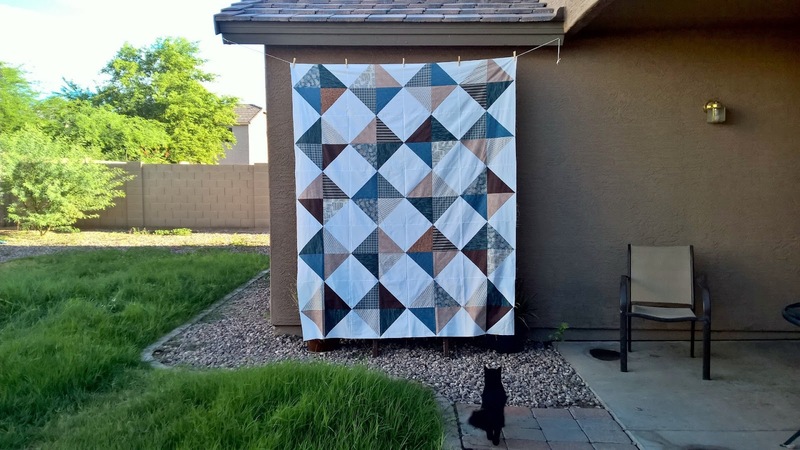 So how does Craftsy Sweeten Up My Quilting Life? 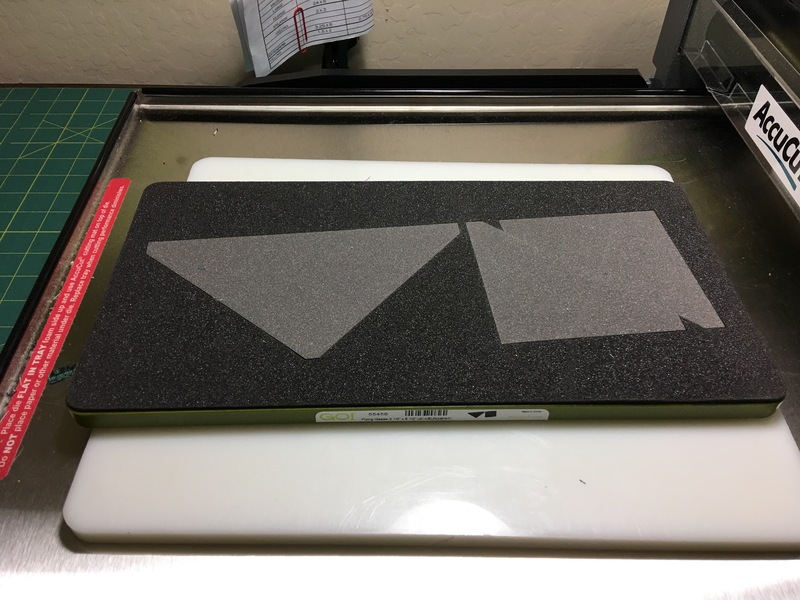 Craftsy Keeps Me in Motion! 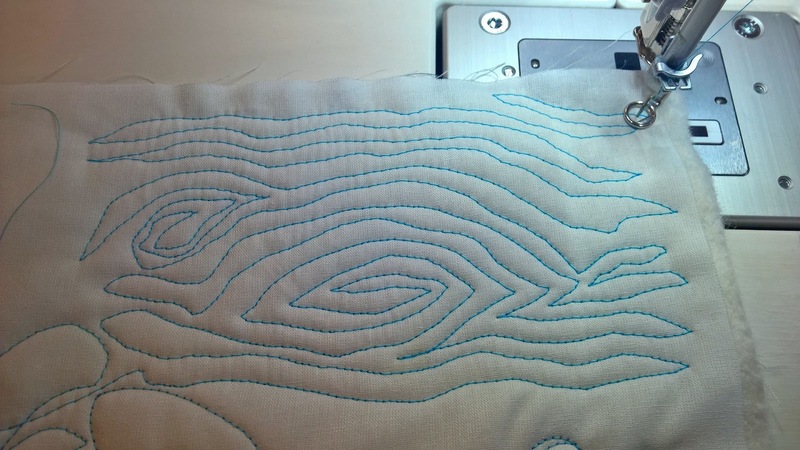 I was very naive when I signed up for Start Free-Motion Quilting w/Elizabeth Dackson. I thought I’d be an expert FMQ-er by the time it was finished. I couldn’t have been more wrong. However, I did learn a lot of things from this class. 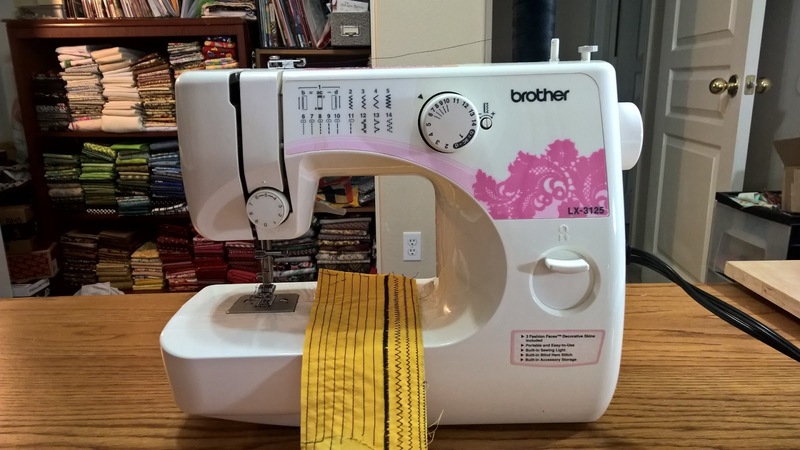 Important things you need to know before getting started, like needle and thread selection, how to start and stop, how to bury a knot and how to move the quilt. Thanks, Elizabeth! 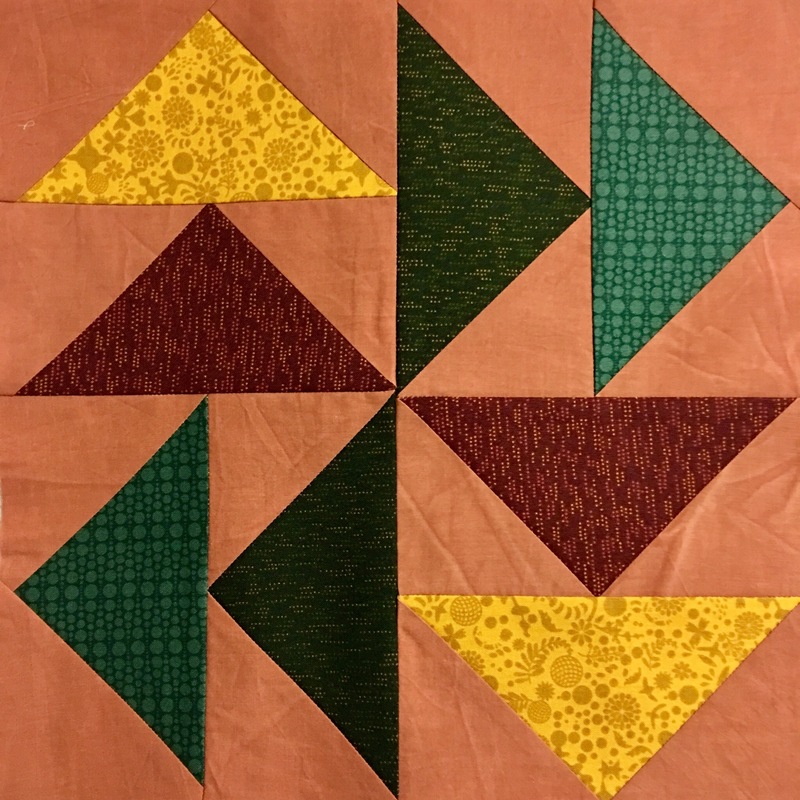 The Secrets of Free-Motion Quilting w/Christina Cameli is another class I’m enrolled. It’s also packed w/great information like sketching and stitching, staying in a straight line and getting out of corners. Thanks, Christina! Help How DO I Quilt It? is my most recent class. 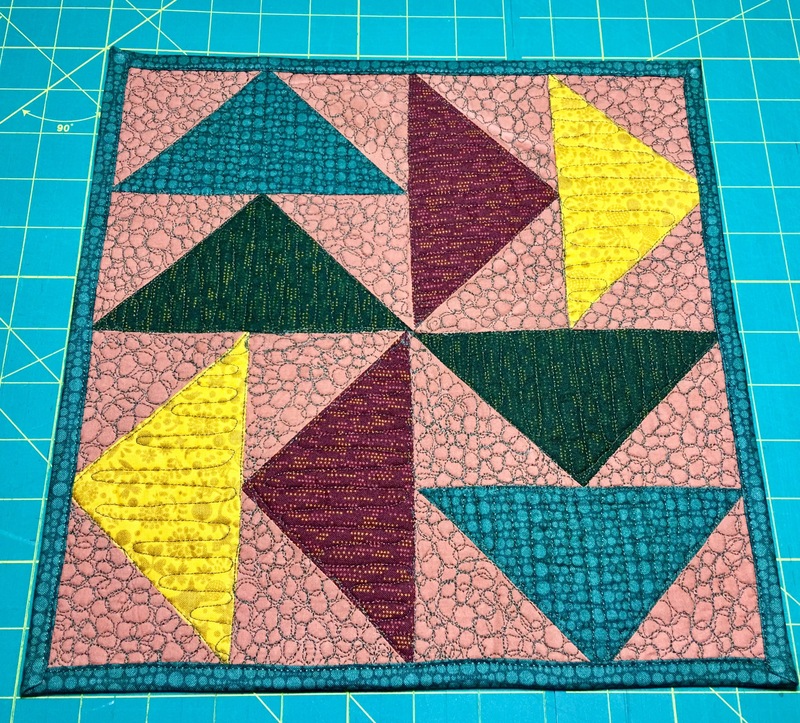 This class will definitely help w/the dilemma of how to quilt your quilts. It will also teach you how to add lots of texture and movement to your quilts. Thanks, Angela! All of these Craftsy classes are great and I’d recommend any and all of them. The instructors are extremely encouraging and the classes do exactly what they are designed to; build your confidence as you learn FMQ. They make it look easy but remember, they’ve been doing it for years. They all stress this important point: Practice, Practice, Practice! And the MOST important point of all…Don’t compare your work to that of others! Why? 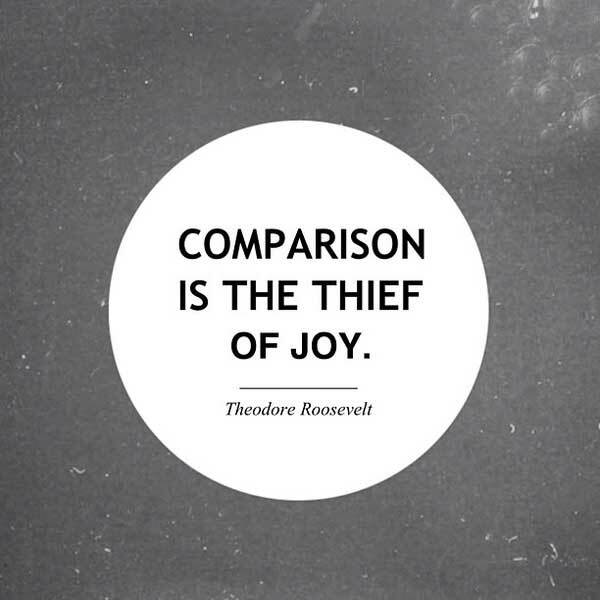 Because Comparison is the Thief of Joy! Craftsy is also a place where independent designers can sell their patterns. There are thousands of sewing and quilting patterns to choose from and even a great selection of free patterns! Click here to browse my pattern store and be sure to download my Easy Grocery Bag Catcher, which is free for a limited time. Thanks, Craftsy! Here’s the complete line-up of stops. Be sure to hop over and visit each stop to see how Craftsy sweetens up their quilting lives! Did you like reading about these classes? Does all this sweetness make you want to join one? Class discounts will be available for one week following each post, and while you’re there you can click through any bloggers in the hop to enter the Craftsy Giveaway. 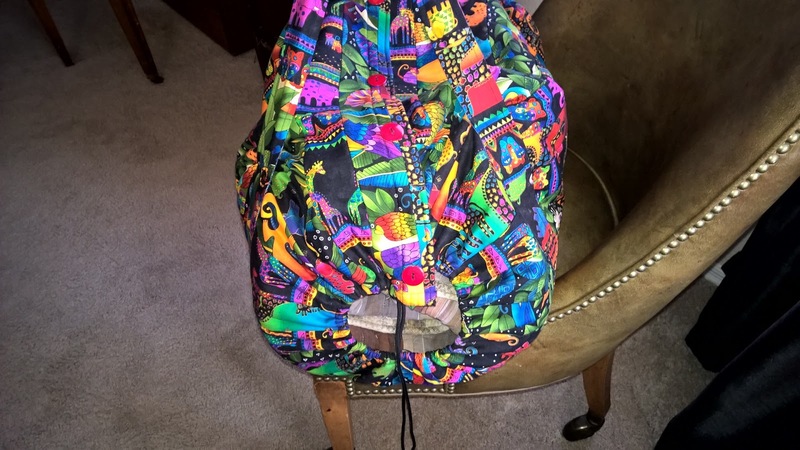 And now the moment y’all have been waiting for…the giveaway! Enter here for a chance to win. Enter the Craftsy Giveaway here, or on any site during the hop. One entry per person. Enter until Sunday, Feb 21, 2016, at 11:59 pm MST. The winners will be announced Feb 22 at Pink Doxies and Musings of a Menopausal Melon. If you are still w/me and would like to show your stuff, it’s time to link up! Of course, I would love for all you linky-uppers to be followers, but it’s NOT required. Another Flimsy, Another Finish, Etc. I finished another flimsy. This one is modern. Some of you might be thinking I’m just a flimsy maker, but I’m not. I do finish quilts. I’m just taking a short break from the actual quilting part to make tops. I’m working on building up inventory for my Etsy shop. I’d like to take it off “vacation status” by mid October and have at least 20 items to list. 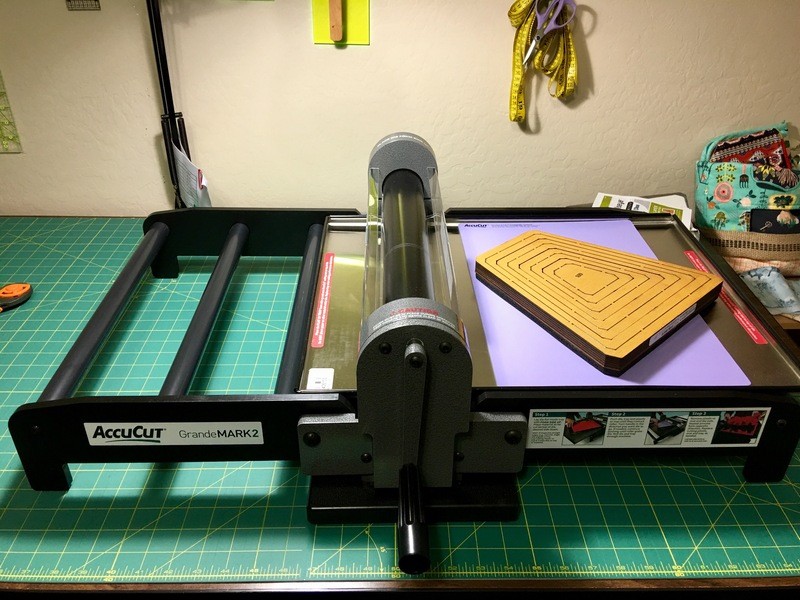 I’m also waiting on modifications on the DIY sewing table in order to quilt more comfortably. I made me another bag. 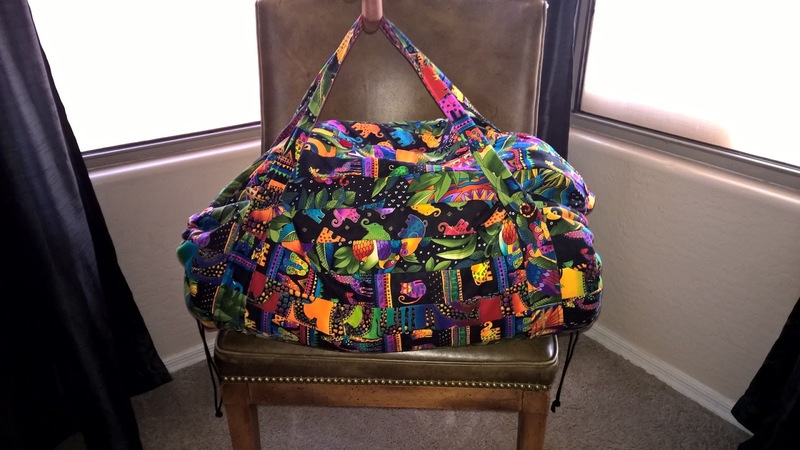 It’s a LARGE quilt carry bag that stretches to over 45″ when full of quilts. It’s a quilt as you go pattern from the book Jelly Roll Quilts by Pam and Nicky Lintott of The Quilt Room. I used fabric from the Laurel Burch Jungle Songs collection. The pattern called for magnetic snaps but me being “Ms. Thrifty”, decided to go w/the cheaper option of sew-on snaps. Needless to say, if I make it again, I’ll use the magnetic snaps. I’d also put some batting in the strap and make it longer. I added faux buttons to the outside of the bag too. This is Penelope. A back-up/traveler/loaner I bought for $25 from a coworker whose Aunt (owner) had recently passed away. She runs beautifully. And this is Oh Suzanna! I got her for $25 too from the same coworker. 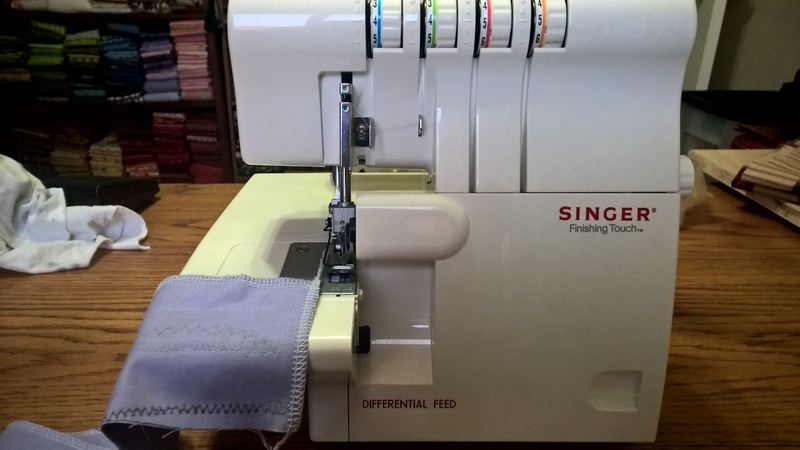 I had no idea how awesome sergers are! I’m happy to add her to my collection. 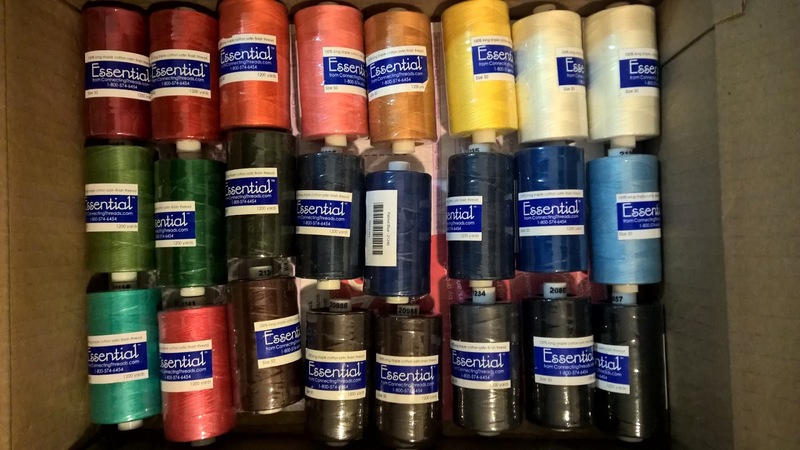 Connecting Threads had their Essential Cotton Thread on sale for $1.95/spool. So I bought a few spools. I pulled the old Black and Decker stand-by out of the closet. I finally got fed up dealing w/my constantly dripping Rowenta Effective. I cannot for the life of me remember why I put this baby in the closet in the first place. It doesn’t drip and it gives me a little warning beep when it’s getting ready to shut-off. 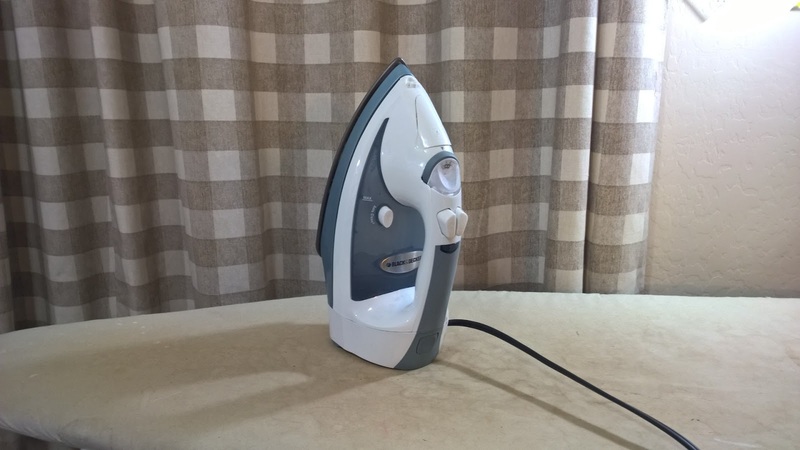 I hope to use it until I can get the Panasonic Cordless 360 , which has been on my wish list for quite some time. 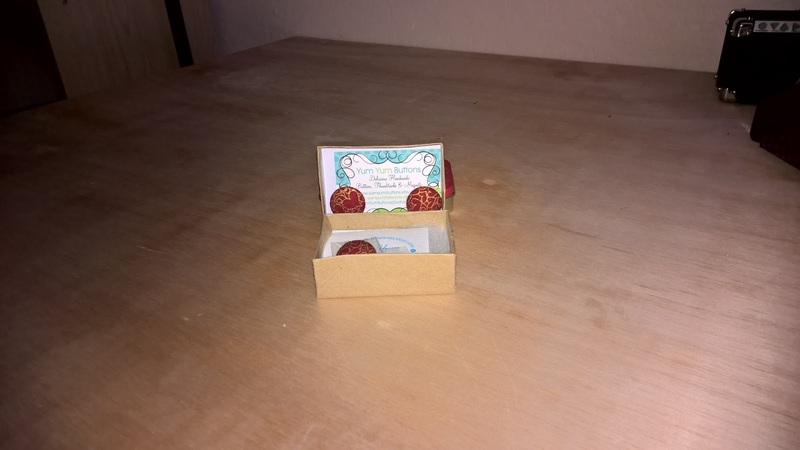 I won these adorable magnetic needle minders from a giveaway that Lara B. of Buzzin Bumble had a few weeks ago. They are from an Etsy shop called YumYumButtons. My new pen! 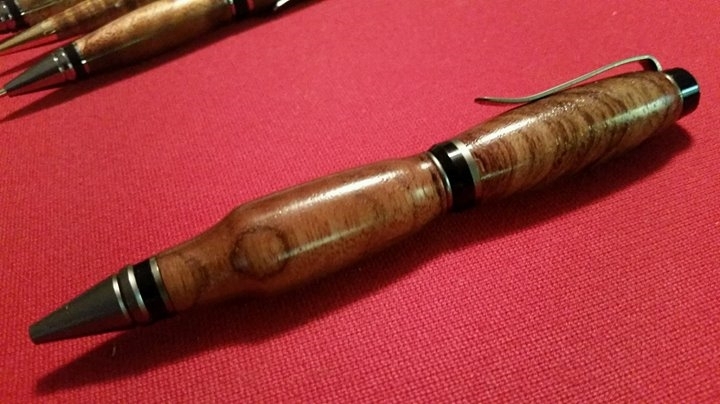 It’s cigar style (fat) and made of Bubinga. 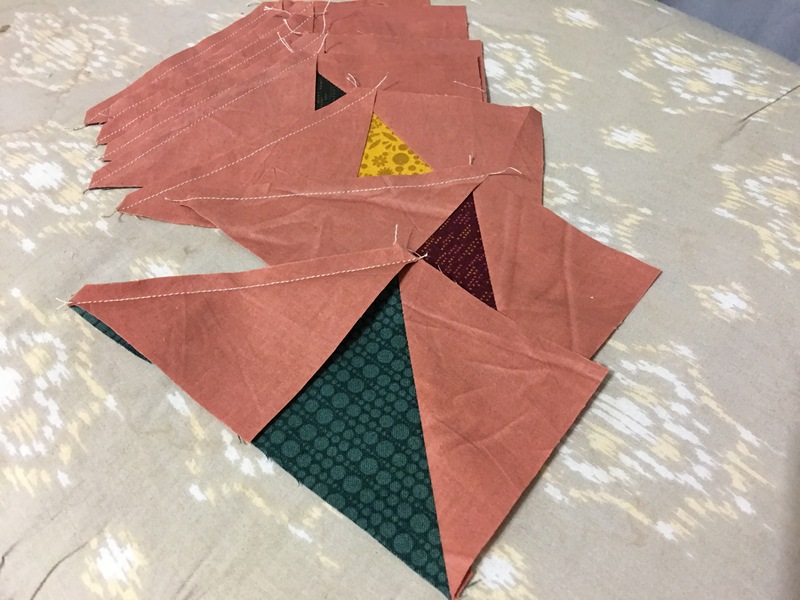 And lastly, I visited Quilt n’ Sew Connection in Prescott Valley and practiced a little woodgrain fmq on an awesome, if very expensive machine. 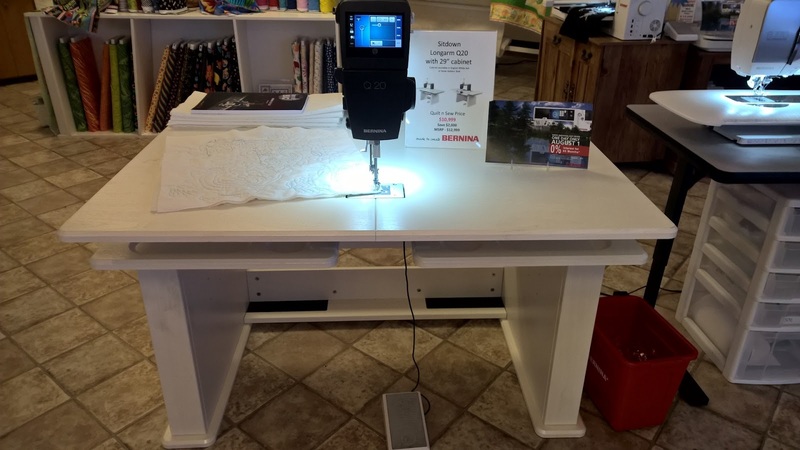 The Bernina Q20 which is a sit-down longarm. Yes! It is now on my wishlist too!